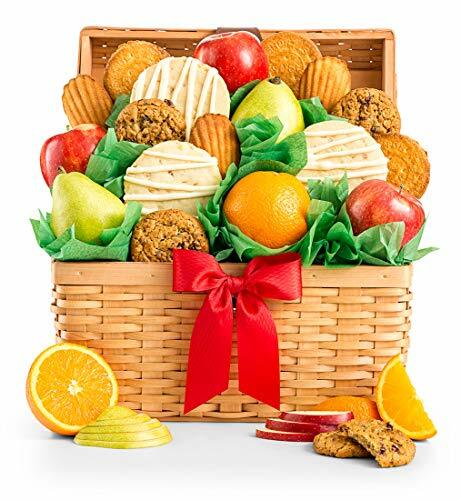 Variety gift basket with sweet and delightful fruit with a rich pairing of fresh baked cookies. Gift grade pears, crisp apples, juicy oranges, cranberry oatmeal and tropical sugar cookies, french madeleines, french galettes and more. This healthy snack gift basket will leave a lasting impression as they continue to use and enjoy this charming French Country basket, perfect for the home or office. Great gift for birthdays, thinking of you, holidays or any other occasion. If you have any questions about this product by GiftTree Gifts, contact us by completing and submitting the form below. If you are looking for a specif part number, please include it with your message.